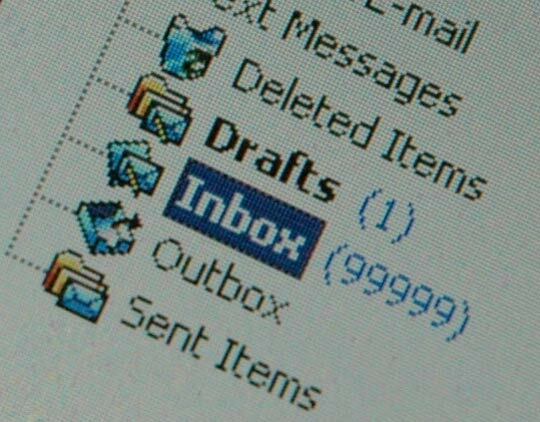 I am struggling with my inbox. I see my husband’s inbox occasionally, when we are both armed with our laptops on the sofa in the evening, and I am ashamed. On a bad day there are two or three emails sitting in his inbox awaiting some further action. Some are unread. Some need a second reading. Some need a response. Some are there just to remind me of something else that needs doing. En masse, they mock every claim I ever make of becoming more organized. What I need to do is to set aside a full day (a full week?) to address the needs of every single message in my inbox and whittle the backlog down until there is nothing left. The trick will be staying on task, and not clicking over to my favorite blogs or stalking my facebook friends or shopping Eddie Bauer’s latest sale during the process. Once the inbox is cleared out, I tell myself that with a bit of day-to-day discipline, I could keep it as pristine as the hubby’s. But I know me, and I know one day I’ll be too busy to act on a new email, and it’ll sit in the inbox until tomorrow, when I won’t feel like dealing with it, then the next day it will have been there two days already, so what does one more matter…and that one undealt-with email will inevitably attract companions like ants to a picnic and before I know it there will once again be 113 emails clogging up my inbox. 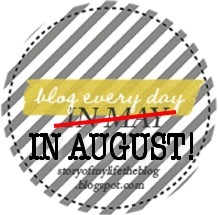 Email shame, brought to you by Jenni’s blog-every-day challenge at Story of My Life. I understand the ‘in-box’ blues. I periodically wipe it as clean…okay…not clean…but down to ten saves. I feel better immediately. I hope by the end of the month to have mine clean…I purged 20 emails already today! Go! Go! Go! You can do this! Dat burn emails!